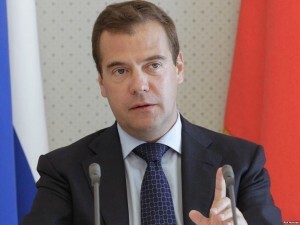 Moscow, December 6, Interfax – Any constitutional amendments that would give preference to any one religion are unacceptable, Russian Prime Minister Dmitry Medvedev said. “The adoption of any special preferences is unacceptable. Our constitution guarantees the freedom of conscience. People are free to choose their church in accordance with their views, or refer to themselves as atheists,” Medvedev said in an interview with Russia’s central television stations.